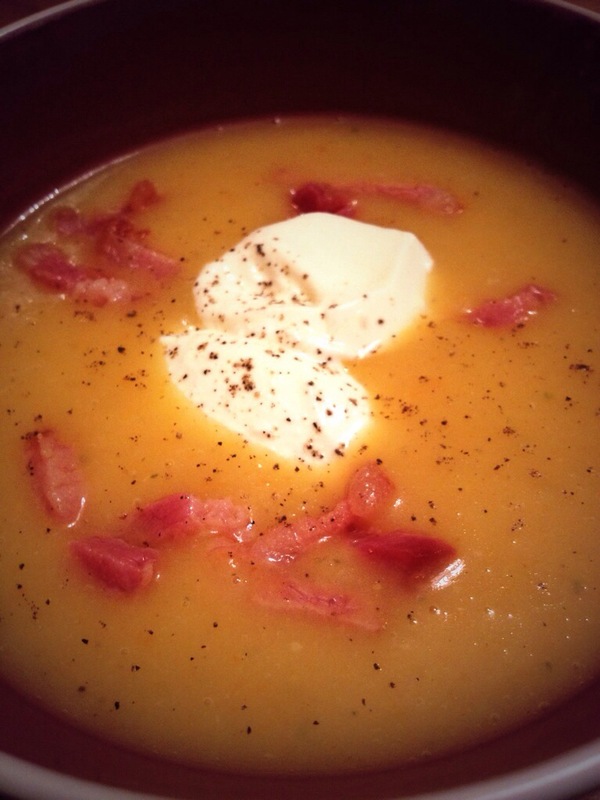 I have never made or eaten potato soup before. But when I found myself with lots of leftover potatoes (why do they always sell them in such big bags?? ), the thought suddenly popped into my mind and I decided to go with it. I have been missing Scotland lately, and so a guid tattie soup seemed appropriate! I googled some recipes and found a wonderful one by Eat Live Run. This soup is largely based on that recipe, though I added and subtracted a few ingredients, as I always do. The result was incredible! I was amazed, as I genuinely wasn’t expecting it to be that tasty. How can some vegetables and stock make such a delicious soup, I asked myself? The main factor is the bacon grease – frying the vegetables in that just adds an indescribable deliciousness. Creole salt, as always, contributes to the flavour, so if you don’t have it yet, do purchase it. Failing that, simply mix up some spices, including garlic, paprika, chili, pepper and more. 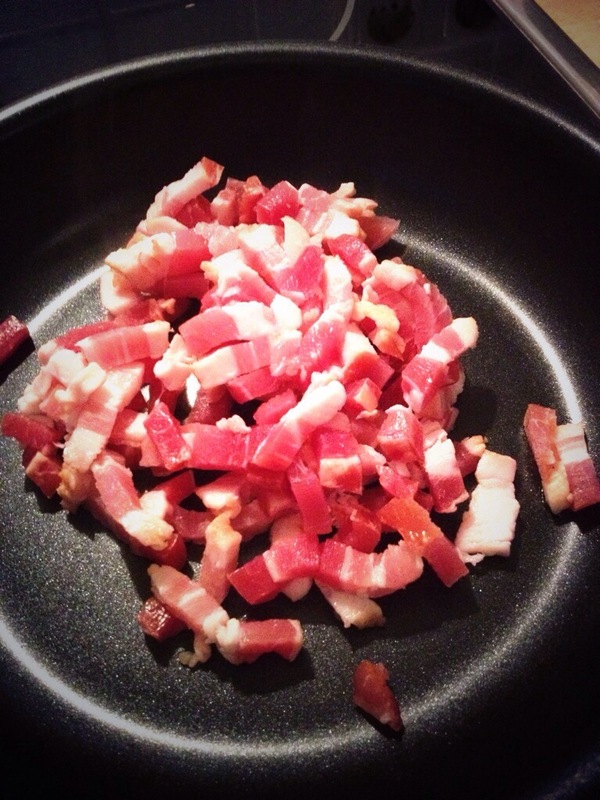 Fry the bacon lardons (without oil) until they are crisp. 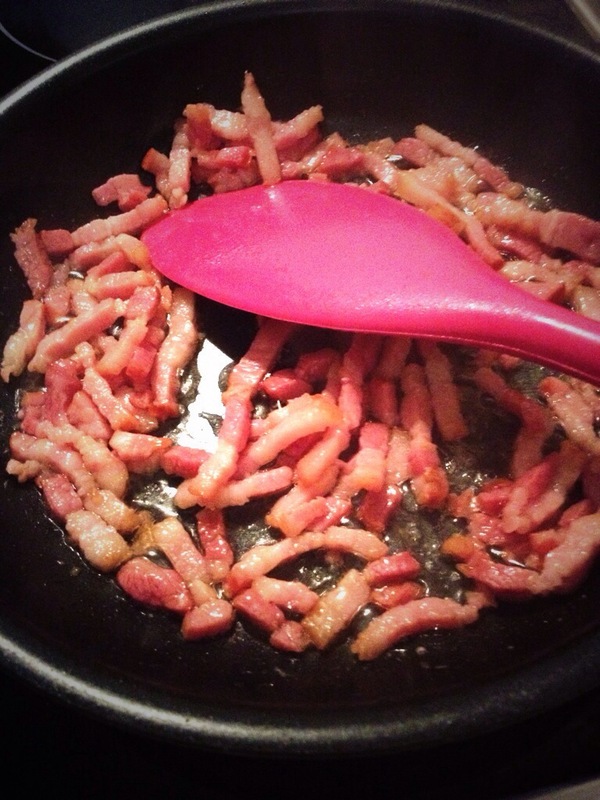 Remove them from the pan, leaving the bacon grease in the pan, and keep aside on paper towels. 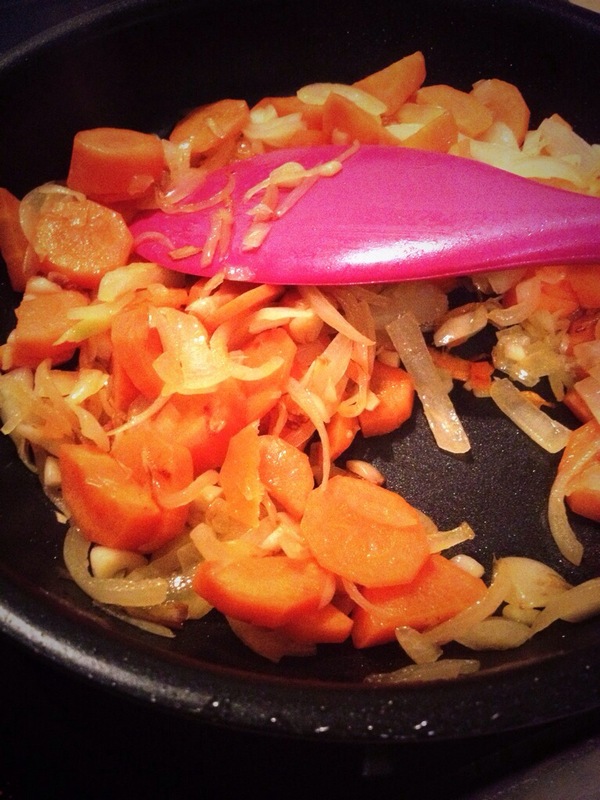 Then fry the carrots, onion and garlic in the leftover grease on low heat for about 20 minutes, until they are nice and soft. 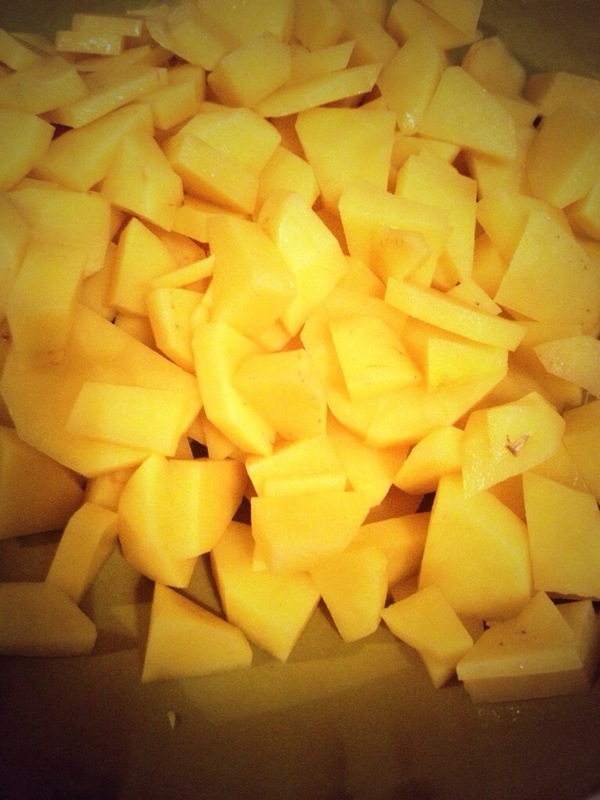 Transfer the vegetables into a pot and add in the potatoes, stock and Creole salt, cover the pot and let the mixture simmer for around 15 minutes, until the potatoes are fully cooked. Carefully stir in the milk and flour mixture. Blend the entire mixture using either a stick blender (which my new German apartment has – it is so much fun!) or a traditional blender. Pour back into the pot and add the extra 100ml of water, black pepper and paprika. Stir thoroughly and taste – add more salt, pepper or paprika as desired. Ladle generously into bowls and top with the crispy bacon, creme fraiche, some more black pepper and parsley! You can have some bread on the side, but honestly, it isn’t really necessary as the soup is very rich. Just enjoy that warming feeling from the inside out, and perhaps listen to some Scottish music!